An arc flash incident is typically the result of effected electrical equipment not being electrically isolated in the event of a fault. The fault may occur from a switch or circuit breaker not properly closing or the inadvertent contact between an individual and live exposed electrical parts. This assessment, requested by the Occupational Safety and Health Administration (OSHA) helps to ensure that at the end of the day everyone goes home safely! Extensive walkthrough of the entire facility to collect the model numbers, ratings and adjustable settings of existing electrical equipment. 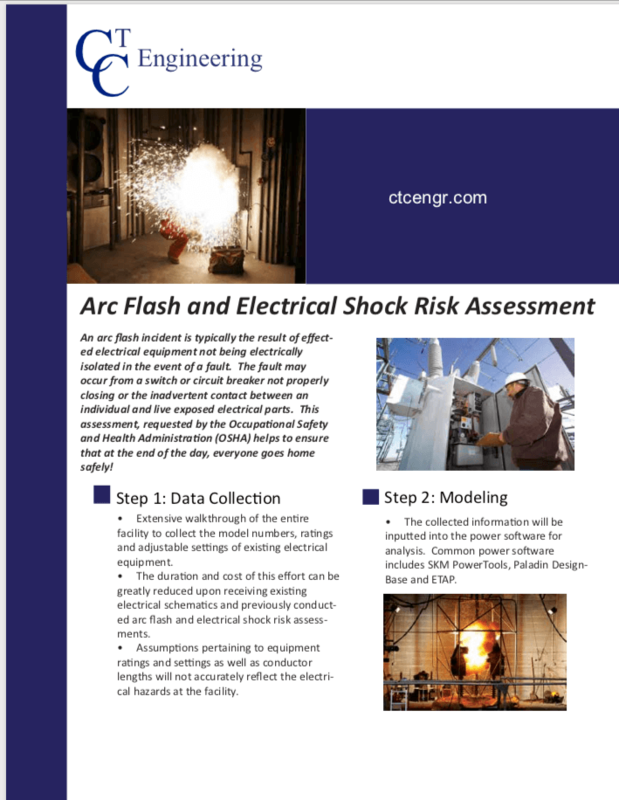 The duration and cost of this effort can be greatly reduced upon receiving existing electrical schematics and previously conducted arc flash and electrical shock risk assessments. Assumptions pertaining to equipment ratings and settings as well as conductor lengths will not accurately reflect the electrical hazards at the facility. The collected information will be inputted into the power software for analysis. Common power software includes SKM PowerTools, Paladin DesignBase and ETAP. 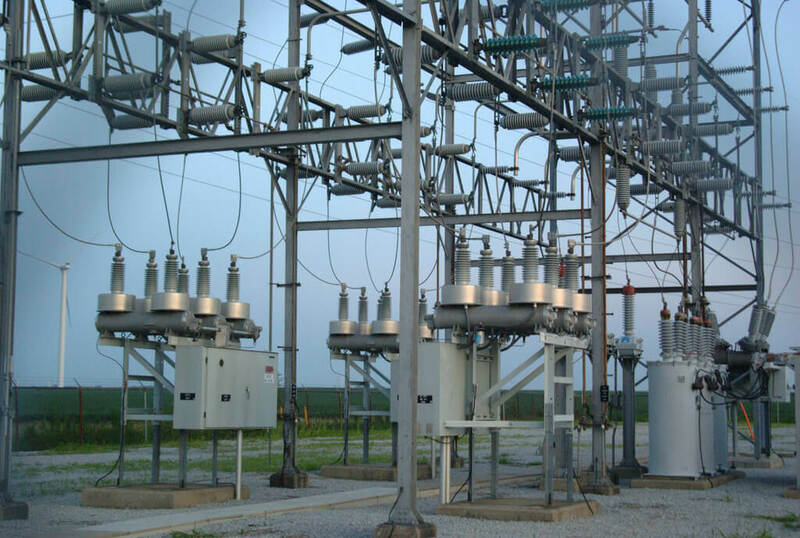 A request will be made to the utility company to obtain the maximum available fault current. Further calculations by the engineer, will determine the fault current available at each point throughout the electrical system. The results will be compared to the maximum ratings of the installed equipment and can be utilized to specify new equipment during future expansions of the facility. 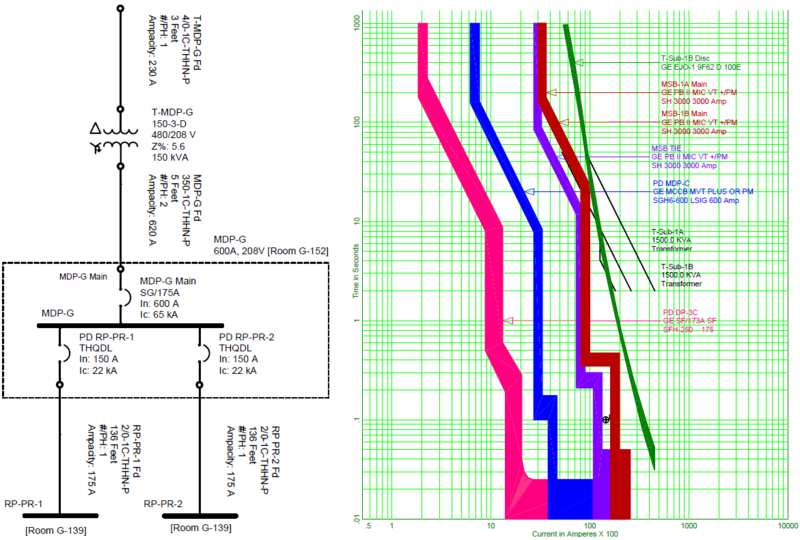 The protective devices will be represented graphically to ensure that the electrical system operates in a coordinated fashion and that the protective device nearest a fault location will operate first, isolating only the effected equipment. 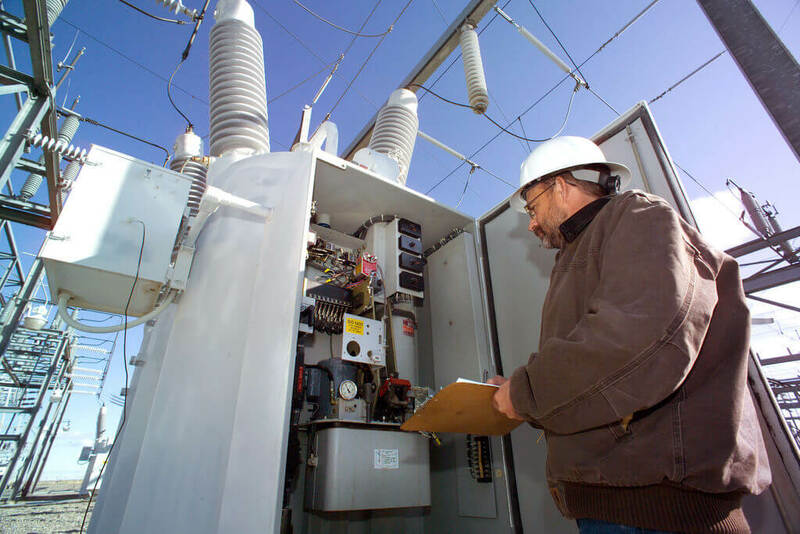 Knowing the fault current and response time of the associated protective devices allows the incident energy at each location to be calculated. This energy is used to determine the rating of Personal Protective Equipment (PPE) that must be worn when working on or in the vicinity of live exposed electrical parts. Arc flash labels, specific to each piece of equipment analyzed, will be provided for installation. They will indicate the available fault current, PPE that must be worn when working on each piece of electrical equipment while energized and the associated boundaries. User friendly formatted reports will be provided with detailed recommendations regarding any deficiencies noted during the analysis phase.